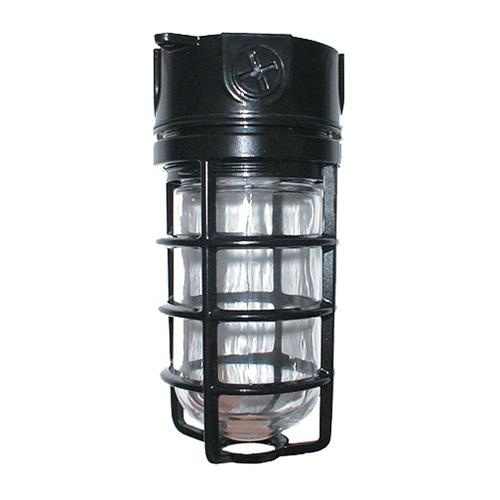 Rab Vapor-proof fixture features clear thermal shock-resistant soda lime glass. It accommodates 150-Watt A-19 lamp. Medium socket lamp has voltage rating of 120 - 277-Volts. Box mountable fixture 4-1/8-Inch x 9-Inch. It features close-up plugs that allow Phillips or slotted screwdrivers for easy installation. Vapor-proof fixture is UL wet location listed.